This is a super satisfying light breakfast. The pancakes are from the “Clean and Lean Diet Cookbook” and taste indulgent while being somewhat diet friendly. 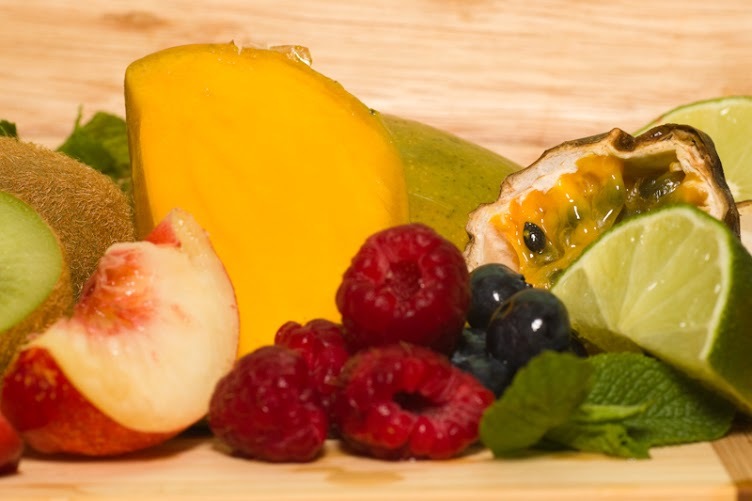 The fruit salad I serve with them is fresh and tastes like a tropical holiday setting you up for a high-energy day! Combine all the pancake ingredients in a blender and blend until smooth. Spray a non-stick frying pan lightly with oil. When the pan is hot, add dollops of batter and cook on each side until browned. For optimum taste ensure that you do not overcook the pancakes. They are cooked perfectly when a light press of the pancake springs back. 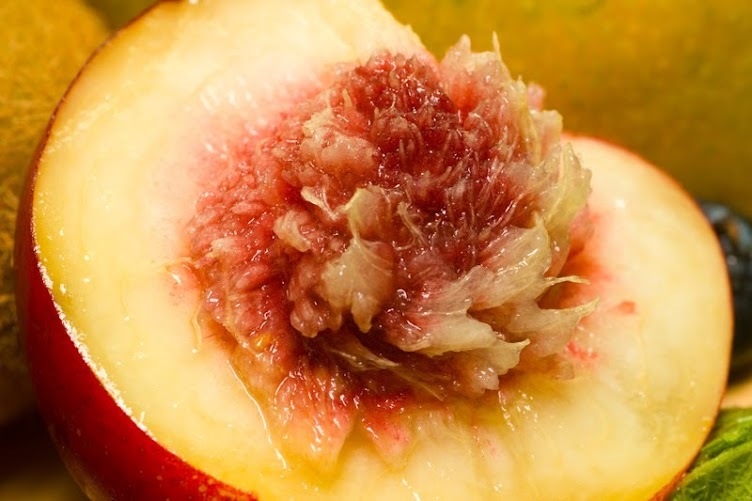 For the best fruit salad, make sure that the fruit is perfectly ripe. If the fruit is not ripe when bought, store near bananas, which will accelerate the ripening of fruit as they release Ethylene gas. Wash the berries and leave them to strain. Dice the Mango and peaches and combine in a bowl. Halve the passion fruit and add to the mango mixture. Add the berries and juice the lime over the fruit. Shred the mint and add to the salad. Mix well and spoon over the pancakes. Drizzle lightly with Agave syrup if desired and serve immediately. I use Agave Syrup instead of honey or sugar to sweeten as it has a lower Glycemic Index and has less calories than honey for the same volume. 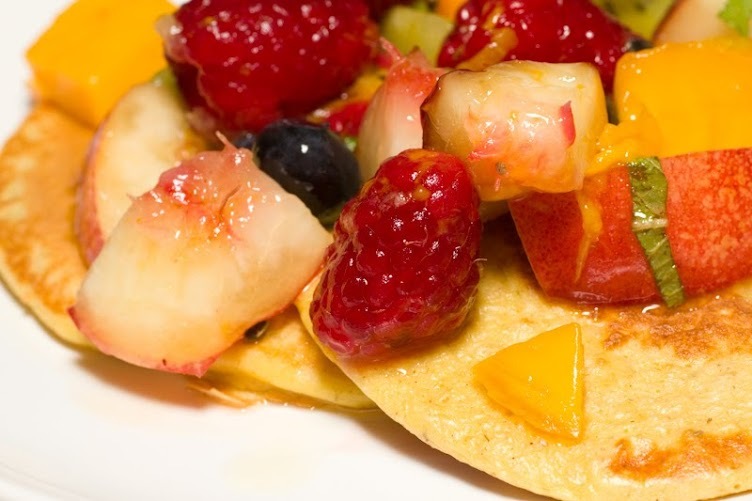 Whilst the pancakes are very light, be careful of how much fruit salad you add as their fruit content will add a lot to the calorie count if you are watching your calorie intake. This tropical medley really does make the day feel more sunny no matter if you are in fact reaching for your wellies! Bon Appetit!